I extend my heartfelt thanks to the Norwegian Nobel Committee for elevating us to the status of a Nobel Peace Prize winner. I would also like to take this opportunity to congratulate my compatriot and fellow laureate, State President F.W. de Klerk, on his receipt of this high honour. Together, we join two distinguished South Africans, the late Chief Albert Lutuli and His Grace Archbishop Desmond Tutu, to whose seminal contributions to the peaceful struggle against the evil system of apartheid you paid well-deserved tribute by awarding them the Nobel Peace Prize. 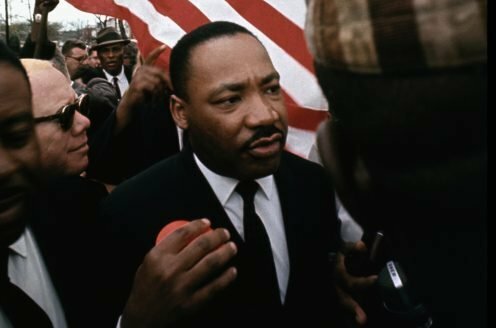 It will not be presumptuous of us if we also add, among our predecessors, the name of another outstanding Nobel Peace Prize winner, the late Rev Martin Luther King Jr. He, too, grappled with and died in the effort to make a contribution to the just solution of the same great issues of the day which we have had to face as South Africans. We speak here of the challenge of the dichotomies of war and peace, violence and non-violence, racism and human dignity, oppression and repression and liberty and human rights, poverty and freedom from want. That triumph will finally bring to a close a history of five hundred years of African colonisation that began with the establishment of the Portuguese empire. Thus, it will mark a great step forward in history and also serve as a common pledge of the peoples of the world to fight racism, wherever it occurs and whatever guise it assumes. At the southern tip of the continent of Africa, a rich reward in the making, an invaluable gift is in the preparation for those who suffered in the name of all humanity when they sacrified everything – for liberty, peace, human dignity and human fulfillment. This reward will not be measured in money. Nor can it be reckoned in the collective price of the rare metals and precious stones that rest in the bowels of the African soil we tread in the footsteps of our ancestors. It will and must be measured by the happiness and welfare of the children, at once the most vulnerable citizens in any society and the greatest of our treasures. The children must, at last, play in the open veld, no longer tortured by the pangs of hunger or ravaged by disease or threatened with the scourge of ignorance, molestation and abuse, and no longer required to engage in deeds whose gravity exceeds the demands of their tender years. The reward of which we have spoken will and must also be measured by the happiness and welfare of the mothers and fathers of these children, who must walk the earth without fear of being robbed, killed for political or material profit, or spat upon because they are beggars. They too must be relieved of the heavy burden of despair which they carry in their hearts, born of hunger, homelessness and unemployment. The value of that gift to all who have suffered will and must be measured by the happiness and welfare of all the people of our country, who will have torn down the inhuman walls that divide them. These great masses will have turned their backs on the grave insult to human dignity which described some as masters and others as servants, and transformed each into a predator whose survival depended on the destruction of the other. The value of our shared reward will and must be measured by the joyful peace which will triumph, because the common humanity that bonds both black and white into one human race, will have said to each one of us that we shall all live like the children of paradise. Thus shall we live, because we will have created a society which recognises that all people are born equal, with each entitled in equal measure to life, liberty, prosperity, human rights and good governance. Such a society should never allow again that there should be prisoners of conscience nor that any person’s human right should be violated. Neither should it ever happen that once more the avenues to peaceful change are blocked by usurpers who seek to take power away from the people, in pursuit of their own, ignoble purposes. We pray that those who have the power to do so will, without further delay, permit that she uses her talents and energies for the greater good of the people of her country and humanity as a whole. Far from the rough and tumble of the politics of our own country. I would like to take this opportunity to join the Norwegian Nobel Committee and pay tribute to my joint laureate. Mr. F.W. de Klerk. He had the courage to admit that a terrible wrong had been done to our country and people through the imposition of the system of apartheid. He had the foresight to understand and accept that all the people of South Africa must through negotiations and as equal participants in the process, together determine what they want to make of their future. But there are still some within our country who wrongly believe they can make a contribution to the cause of justice and peace by clinging to the shibboleths that have been proved to spell nothing but disaster. It remains our hope that these, too, will be blessed with sufficient reason to realise that history will not be denied and that the new society cannot be created by reproducing the repugnant past, however refined or enticingly repackaged. We would also like to take advantage of this occasion to pay tribute to the many formations of the democratic movement of our country, including the members of our Patriotic Front, who have themselves played a central role in bringing our country as close to the democratic transformation as it is today. We are happy that many representatives of these formations, including people who have served or are serving in the “homeland” structures, came with us to Oslo. They too must share the accolade which the Nobel Peace Prize confers. We live with the hope that as she battles to remake herself, South Africa, will be like a microcosm of the new world that is striving to be born. This must be a world of democracy and respect for human rights, a world freed from the horrors of poverty, hunger, deprivation and ignorance, relieved of the threat and the scourge of civil wars and external aggression and unburdened of the great tragedy of millions forced to become refugees. The processes in which South Africa and Southern Africa as a whole are engaged, beckon and urge us all that we take this tide at the flood and make of this region as a living example of what all people of conscience would like the world to be. We do not believe that this Nobel Peace Prize is intended as a commendation for matters that have happened and passed. We hear the voices which say that it is an appeal from all those, throughout the universe, who sought an end to the system of apartheid. We understand their call, that we devote what remains of our lives to the use of our country’s unique and painful experience to demonstrate, in practice, that the normal condition for human existence is democracy, justice, peace, non-racism, non-sexism, prosperity for everybody, a healthy environment and equality and solidarity among the peoples. Let it never be said by future generations that indifference, cynicism or selfishness made us fail to live up to the ideals of humanism which the Nobel Peace Prize encapsulates. Let the strivings of us all, prove Martin Luther King Jr. to have been correct, when he said that humanity can no longer be tragically bound to the starless midnight of racism and war. Let the efforts of us all, prove that he was not a mere dreamer when he spoke of the beauty of genuine brotherhood and peace being more precious than diamonds or silver or gold. Let a new age dawn! 1. The Declaration of the Rights of the Child, approved unanimously by the United Nations General Assembly on 20 November 1959, proclaimed ten fundamental rights, including those Mandela mentions. .
2. Aung San Suu Kyi was granted the 1991 Nobel Peace Prize. See pp. 1-21. 3. “Arise, ye wretched of the earth” is a line in the English version of the Internationale, a revolutionary socialist hymn written in Paris in 1871 and sung thereafter by socialists and communists.